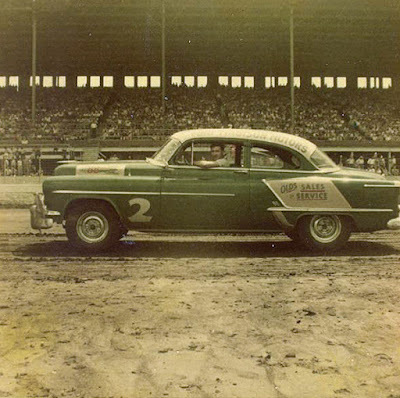 Cedar Rapids, Iowa (August 14, 1955) - Ernie Derr of Keokuk, driving a 1954 Oldsmobile nonstop, capitalized on the car trouble of his brother-in-law to win the 100-mile accident-free stock car race before 7,500 fans at Hawkeye Downs Sunday afternoon. Derr's winning time is a track record. It was the opening amphitheater attraction of the 20th annual All-Iowa fair. 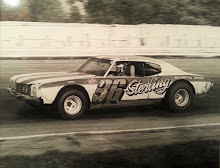 Derr copped the lead on the 123rd lap of the 200-lap endurance test when his brother-in-law, Don White of Keokuk, was forced to the pits when his right rear wheel locked. 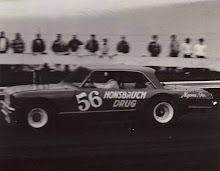 White had powered his new Oldsmobile to a comfortable lead, having lapped the entire 25-car field except Derr. 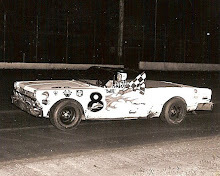 When Derr took the lead, his chief challenger was Herschel Buchanan of Shreveport, La., driving a Ford Thunderbird. But again Derr's fortune was the result of another man's misfortune when Buchanan fell out of the race at 155 laps with front wheel trouble. After that, Derr drove steadily without apparent trouble with his car and without serious challenge. Only man with an outside chance of catching him in the final laps was Johnny Beauchamp of Harlan, Iowa. But Derr, driving a 1955 Chevrolet, came home easily one-third of a lap ahead of Beauchamp. 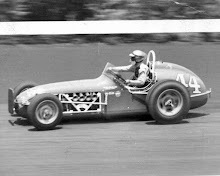 Derr, the 1953 International Motor Contest Association champion, was wheeling the same car he's had in competition for two years. Yet he did not need a pit stop Sunday. His time was 1 hour, 47 minutes, and 34.15 seconds. The fast condition of the track also enabled Derr and Buchanan to establish one-lap track record of 30.10. 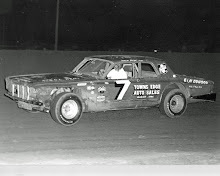 Among Cedar Rapids drivers, Doc Narber finished fourth, George Miller was 13th and Frank Richards of Marion was 17th. All were driving new Chevrolets. Narber, who won the July 3 race at the Downs, currently ranks fifth in IMCA points standings. Miller was driving the same car which Paul Newkirk of Cedar Rapids was critically injured at Oskaloosa last Monday.